Sumter, SC… Gloria Mae Nyberg Wilkinson, age 72, beloved wife of 50 years to James Wilkinson died on Friday, February 8, 2019 at her residence. Born in Cokato, MN, she was a daughter of the late Clyde Elmer Nyberg and Harriet Lucille Westerberg Nyberg. Gloria taught school for over thirty years, retiring from Sumter School District 17 after more than twenty years. During her teaching career, she taught special needs children, elementary school and also middle school. She was an active member of Aldersgate United Methodist Church and was a member of the Wesley Sunday School class. Gloria was also a member of the local chapter of the PEO. Her true joy in life was spending time with her family, especially her children and grandchildren. She will be remembered as a very loving and devoted wife, mother, grandmother and friend. She will be dearly missed by all who knew her. Surviving in addition to her husband are: two sons, Brian Wilkinson and his wife Betsy of Columbia and Jeff Wilkinson and his wife Jacqui of Charlotte and four grandchildren, Matthew, Jacob, Jordan and Jackson. In addition to her parents, Gloria was preceded in death by her sister, June Freund. A funeral service will be held on Saturday, February 16, 2019 at 11:00 am at Aldersgate United Methodist Church with the Rev. David Day officiating. A private family burial will be held on Monday, February 18, 2019 at Ft. Jackson National Cemetery. The family will receive friends on Friday, February 15, 2019 from 5:00 – 7:00 pm at Bullock Funeral Home. 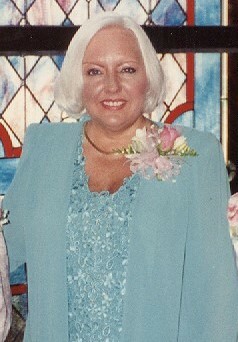 The family has requested that memorials be made, in Gloria’s name, to Aldersgate UMC, 211 Alice Drive, Sumter, SC 29150.